Pinnacle Investment Management’s newest affiliate manager, the ex-Macquarie long/short managers now known as Firetrail Investments, will today launch a listed investment company seeking up to $378 million. As of last week, the group had already reached close to its minimum requirement. The fund has also registered in NZ under the trans-Tasman mutual recognition regime. At an investor and press briefing in Sydney on Friday, September 21, the Firetrail principles said that the equities specialist was already approaching closing to new institutional funding, at about $3 billion, so it could protect its performance under capacity considerations. Total capacity for its absolute returns equities strategy was about $6.5 billion, they said. Firetrail is another big coup for Pinnacle, as foreshadowed by Ian Macoun, the company’s founder and major shareholder, last year. 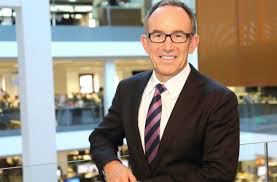 Firetrail already had about $2 billion under management, run by 11 staff, mostly from Macquarie, led by Patrick Hodgens, the managing director and portfolio manager. The new offering is expected to close on October 27, with an upper target of $304.5 billion. Hodgens said that early commitments meant it was close top reaching the minimum as of last week. The strategy is designed with retirees in mind – seeking pure alpha to return a consistent above-inflation performance notwithstanding market conditions. Hodgens said that the group decided to go with Pinnacle, rather than one of the other multi-affiliate managers, because it tended to “over-deliver” on its promises. While he remained complimentary of Macquarie as an organisation, he said that the independence opened up the managers to a new set of clients. Kyle Macintyre, the head of distribution, said that the choice of structure – an LIC rather than listed investment trust or active ETF – was simple and more popular with the main target investor base of high net worth investors. “We think we’ve hit the sweet spot,” he said.